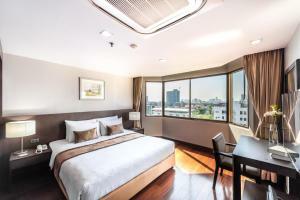 Just 5 minutes' drive from Ramkhamhaeng Airport Link Station, Royal Suite offers an outdoor pool and comfortably furnished rooms with free WiFi access. 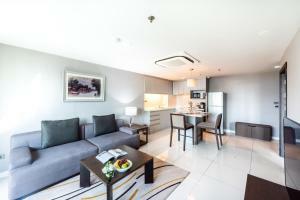 Free parking and an international restaurant are available. 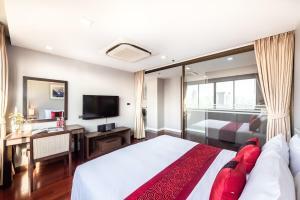 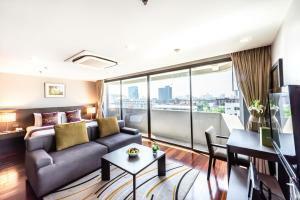 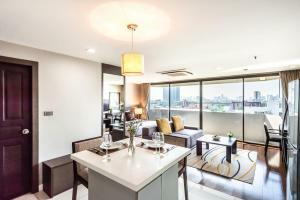 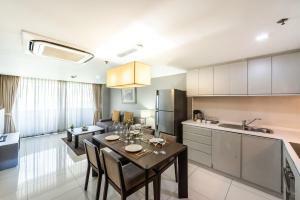 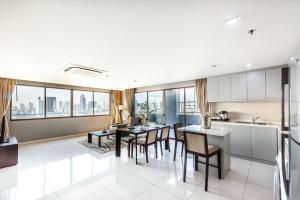 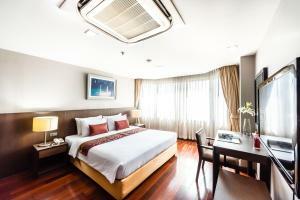 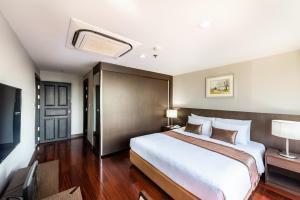 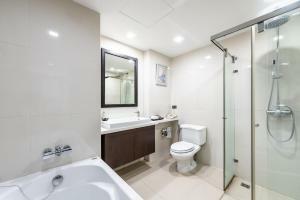 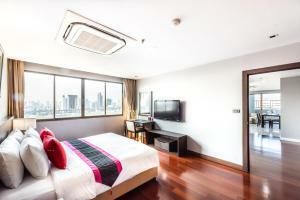 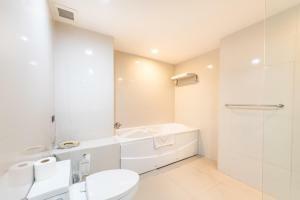 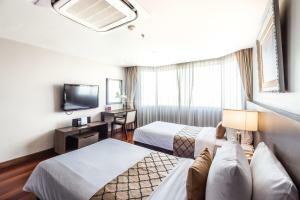 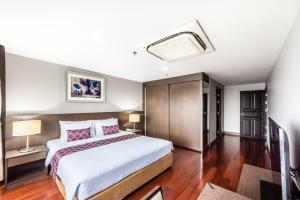 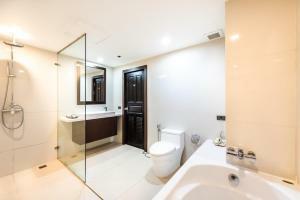 Royal Suite Residence Bangkok is about 18 km from Suvarnabhumi International Airport. 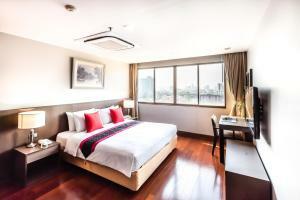 It is 15 minutes' drive from Ramkhamhaeng Shopping Centre and Ramkhamhaeng University. 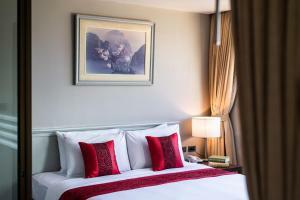 Decorated in warm colours and carpeted floors, the air-conditioned rooms are each equipped with a satellite TV and sofa set. 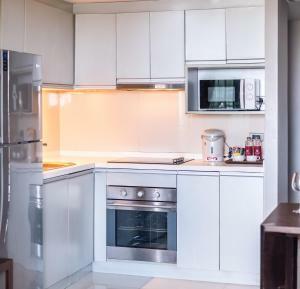 A well-equipped kitchenette, complete with microwave and fridge, is available in all rooms. 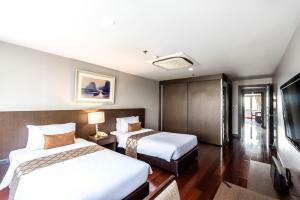 Guests may exercise at the fitness centre. 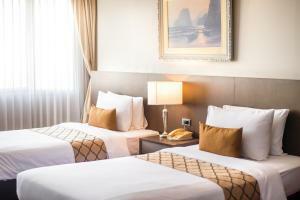 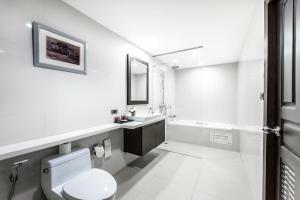 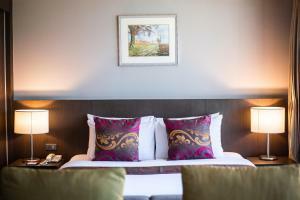 For convenience, the hotel also provides a business centre and laundry services. 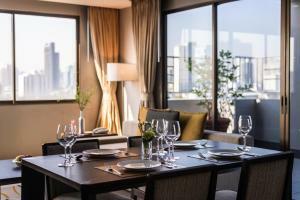 Royal Suite's restaurant serves a variety of Thai, Japanese, European and Chinese dishes. 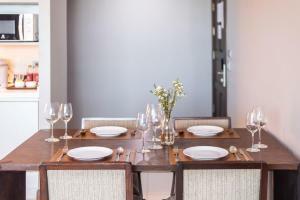 A daily breakfast is also available. 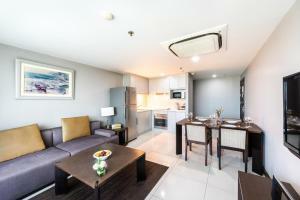 Modern studio with a kitchen, washing machine, minibar and flat-screen TV. 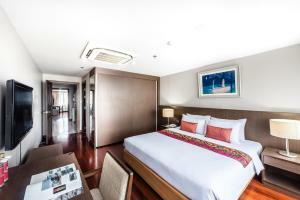 Spacious suite with a living area and balcony. 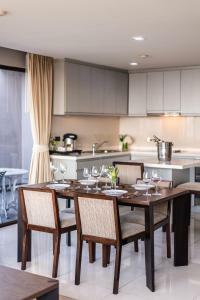 Spacious suite features a living room, dining area and kitchenette. 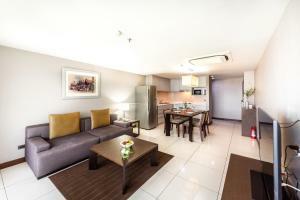 Spacious than Studio type, this twin/double room has a kitchenware, balcony and microwave. 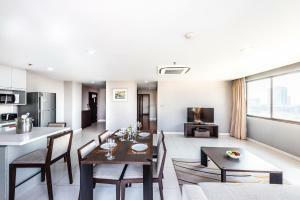 It comes with a living room with a dining area. 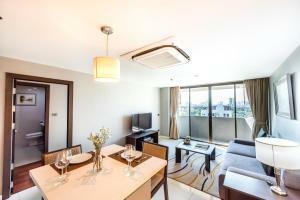 Gusts enjoy a flat-screen cable TV and a DVD player. 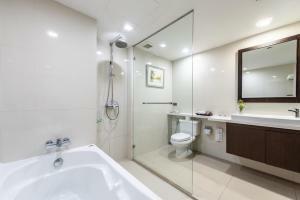 There is a washing machine, a refrigerator and a minibar. 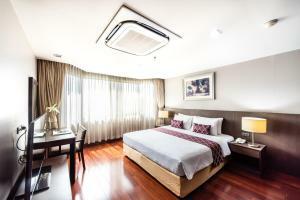 Rate: THB 1460.00 ... THB 27000.00; select dates below to get current rates.